What is an Idiopathic Injury and How Can it Affect Workers’ Compensation Claims? According to the International Risk Management Institute, idiopathic injuries are those that arise spontaneously and have no identifiable cause. Typically, the condition is a trait or disorder that is unique to the injured party and that could have arisen at anytime and anywhere regardless of in which activities the injured party participated. 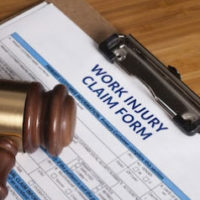 If an employer or workers’ compensation company can prove that an injury is idiopathic, the injured party may not be able to recover compensation for the harm. That said, the insurance company and employer may have a hard time proving that a condition is idiopathic as they will need to perform in depth investigations and well as review all your medical records, both past and present. Workers’ compensation claims can be difficult to win as is, especially if you have already received a denial letter. However, if the insurance company makes an idiopathic claim, you may have a long, uphill battle ahead of you. A Tampa workers’ compensation lawyer can help you fight the likely erroneous claim and ensure you get the benefits you need and deserve. Contact Barbas, Nuñez, Sanders, Butler & Hovsepian today to learn more. What Conditions May Be Considered Idiopathic? If an employer can prove that an injury is the result of an idiopathic condition, he or she may be able to successfully defeat the claim. Per Florida law, a compensable injury is one that is accidental and occupational and that arises out of in and in the scope of employment. This includes infections and disease that arise out of said injuries. It is important to note that “out of” and “in the scope” of employment are not synonymous. One can satisfy the “arising out of employment” requirement when he or she successfully proves that the injury is the result of the obligation or nature of his or her job. One can satisfy the “in the course of” requirement by showing that the accident that caused the injury occurred at a time and place in which the employer expected the worker to be. If an injury is idiopathic, it cannot satisfy the “out of” requirement because, by its nature, the injury arises from a pre-existing condition. If a worker cannot satisfy both requirements, his or her claim is invalid. It is possible that a person’s employment aggravated his or her pre-existing condition. For instance, if a person has low blood sugar, the employer likely knows that he or she must take food breaks more often than the average employee. If the employer fails to let the employee go on break and the employee faints and sustains an injury in the process, the employee’s harms are likely to be deemed compensable because the lack of food break aggravated the condition. When fighting idiopathic claims, the question one should always ask is, did the employment place the claimant in a position of danger or did it involve any special hazard or risk? If the answer is yes, the injury is compensable. If you sustained an injury on the job, and if the workers’ compensation insurer tries to claim your injury was idiopathic, you may have a hard time winning your claim. That said, winning is not impossible. With the right Tampa workers’ compensation attorney on your side, you can prove either that your condition is not idiopathic or that, if it is, that your employment aggravated the condition. 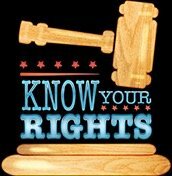 Contact Barbas, Nuñez, Sanders, Butler & Hovsepian to discuss your case with an experienced attorney today.